Your Digital Undertaker is an exceptional estate-planning reference guide to minimizing the burdens on executors. 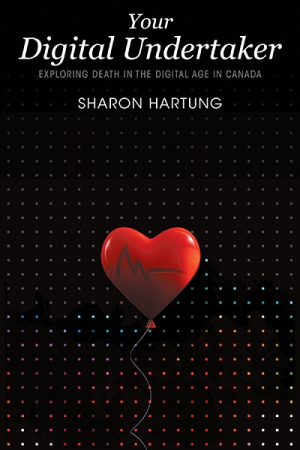 Sharon Hartung’s Your Digital Undertaker is a thorough and well-documented resource for navigating the complexities of settling a physical and digital estate. Hartung narrates her guide with emotional honesty and compassion, preparing her audience by offering an example of the impact of a poorly planned estate on its executors. The book builds on a solid foundation and demonstrates how each area of estate planning can be addressed to reduce the burden on those left behind. Aimed most at Canadians or those with assets in Canada, the guide is excellent at anticipating the potential areas that an estate might encompass. It considers variations between Canadian jurisdictions and across borders as well. Drawing on project management models, it includes a step-by-step project plan encompassing considerations like avoiding undue delays, handling a contested will, and excess taxation of assets. From taxes and filing obligations to the legal ramifications of disposing of physical property under multiple jurisdictions, and considering stocks, debts, digital currency, and intellectual assets, the text covers the gamut of potential issues. It also anticipates the default scenarios that take effect in the absence of clear instructions and the potential pitfalls of failing to address various issues, including the risks, costs, tax implications, and steps required to mitigate the consequences of a contested will. The language is clear and concise, and terms and concepts are well-defined. Each chapter is thorough in covering its subject area, its information backed by extensive research and resources. Diagrams, charts, and checklists open invaluable perspectives to common concerns and decisions, anticipating factors like the handling of tangible and intangible assets. Suggested resources to account for changes in laws and situations are included, and each chapter concludes with a summary set of steps. A decision matrix worksheet is a helpful decision-making tool.